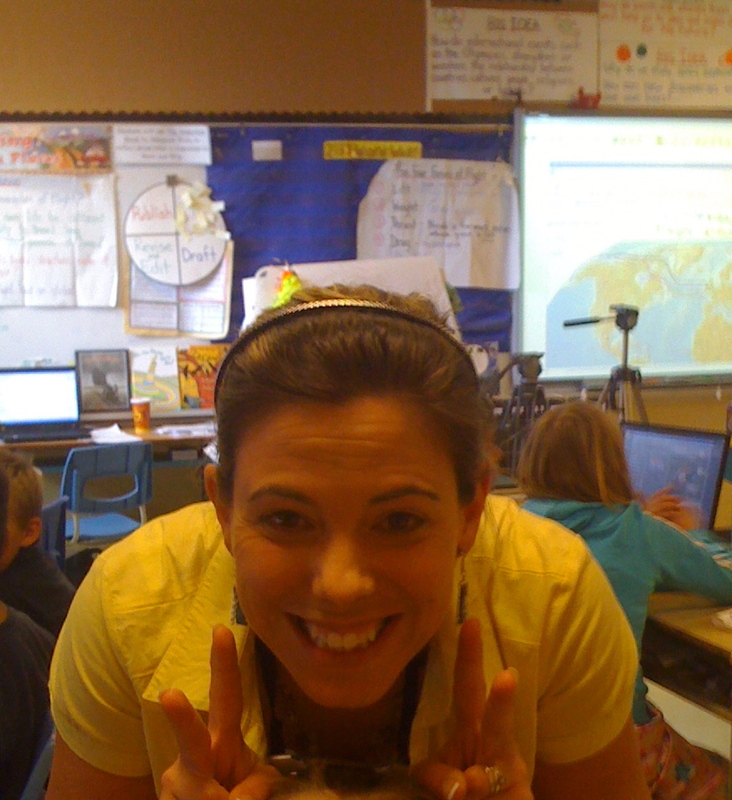 MSL Report - 21st C National Teacher Contest Winners - Cross Canada Spotlight on B.C. What would you change about the MindShare Learning Report? Welcome to the MSL Report 21st Century National Teacher Video Winners --Cross Canada Spotlight on British Columbia Special Edition. 2011 promises to be a year of transformational change across our vast Canadian landscape as the 21st Century learning movement continues to build. I'm encouraged by the momentum, the passion and dedication I see across Canada amongst our educational leaders at all levels. Our national contest winners are a testament to those educators who go beyond the call of duty in making learning fun and engaging through ICT. We're proud and humbled by the excellence they shared through their video submissions. I trust you'll agree. I congratulate all participants in our contest who are clearly blazing a trail by creating a 21st Century learning experiences for their students. I would like to thank our generous sponsors of our 21st Century National Teacher Video Contest, who offered up over $50,000 in classroom technology prizes: Advanced Presentation, Blossom Learning, Discovery Education, Dell, EPSON, frontrow, ISTE, Nelson Learning (netTrekker), Pearson, and SMART Technologies. New Brunswick Online Meritus University Closure -- a lesson hopefully learned by the for profit foreign players. Finally, we look forward to sharing our MindShare Learning EdTech Leadership Summit eBook that is forthcoming next issue. "The most creative solutions aren't rocket science "
"Our students have changed and so must our education system. It is our duty to prepare our graduates for a technology and innovation based work force. The ability to interact with technology has the potential to play an enormous role in student development and their future success." 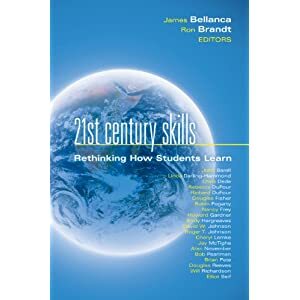 The purpose of this paper is to provide a vision for the K-12 education system in the 21st century. "My students and I are thrilled to have won this contest. 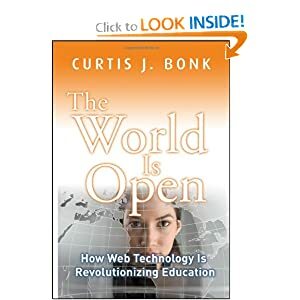 It is very gratifying to know that we were successful in putting together a video that represents our use of technology to enhance learning, and create meaning in our 21st century classroom." and students we have in our school." VICTORIA - The B.C. government has approved $2.9 million in funding for 21 research infrastructure projects at seven B.C. universities, Science and Universities Minister Ida Chong announced today. The awards are provided through the B.C. Knowledge Development Fund. Quebec's education minister announced Tuesday the province is providing grants totaing $141.6 million to colleges for infrastructure maintenance and equipment renewal. The B.C. government has approved $13.3 million for two University of Victoria-led ocean research projects for monitoring some of the province's most critical marine waterways and the health of our oceans. Canada's Advanced Research and Innovation Network, (CANARIE), invites proposals from public and private sector research, education and cultural institutions to link to CANARIE's high-speed network through the Infrastructure Extension Program. Canada's ability to succeed in the digital economy will be a key determinant of its success as a society in the 21st century. Canada's prosperity in the 21st century depends increasingly on our ability to innovate - to generate knowledge and ideas from which we derive new products, services and policies that create economic wealth, enhance social foundations, sustain the environment and improve quality of life. The new $16 million Paradise Elementary School was officially opened today by the Honourable Kathy Dunderdale, Premier of Newfoundland and Labrador. Premier Dunderdale was joined by the Honourable Joan Burke, Minister of Education; Paul Davis, MHA for Topsail; Steve Kent, MHA for Mount Pearl North; David Brazil, MHA for Conception Bay East - Bell Island; Senator Elizabeth Marshall; representatives from the Eastern School District and other community officials. BrightLink™ 450Wi was chosen as a reader's choice top 100 products of 2010 in District Administration. This new interactive whiteboard system from Epson utilizes a new technology to detect touch. The ultra short- throw projector is able to detect the movement of the included stylus pen when it enters the light beam, eliminating the need for additional hardware to detect a user's movements, as in traditional interactive whiteboards, and adding interactivity to any surface. FrontRow, a leading developer of classroom sound amplification systems, announced today the addition of nine new team members to support the increased need and demand for amplification solutions in K-12 classrooms. Jenny Williams flips through her Grade 11 American history book and laughs when she sees Bill Clinton identified as the country's most recent president. Harland Clarke Holdings Corp., the parent company of Scantron Corporation, today announced that Scantron has signed a definitive agreement to acquire GlobalScholar, a privately-held education technology company. A decade ago Bill Gates, founder and former chief executive of Microsoft, presented a new class of computing to the world: a tablet PC that offered a fully functional computer with the "intuitive aspects of pencil and paper." One of the 2010 conference highlights for me was attending the RCAC event in London, Ontario this past December as our final event of the year. It was an outstanding day and time well spend with some 500 education leaders from across Ontario. Thanks to the organizers for being so welcoming to MindShare Learning. Recently retired educator and conference co-chair, Doug Peterson was kind enough to spend a MindShare Learning moment reflecting on his career (to be featured in our next issue). Conference keynote Angela Maiers captivated the audience with her engaging talk on Habitudes of a 21st Century Learner. We were also fortunate to interview Angela which we will feature in a future issue of the MSL Report. MindShare's friend, Ben Hazzard, consultant, Lambton Kent District School Board recently keynoted at Nipissing U's Infusion Conference. Ben was very impressed with the work of organizer, Dr. Waller, also a friend of MindShare Learning, who was featured on a previous podcast. One of Ben's trip highlights was meeting a Stanley Cup winning coach during his travels as is evidenced by his pic left. "The excitement of travelling hit a crescendo when I met Mike Babcock" (coach of the 2010 Gold Medal Winning Canadian Olympic Hockey team, and the Detroit Red Wings), said Ben. Be sure to share your upcoming conference with the us! We'll do our best to provide advance exposure and perhaps attend your event. trying to make sense of the key themes and ideas from Educon2.3. How will this conference change my thinking? Where do I go next? How will this impact my students? How has this network educators from not only my own province, but across the globe changed my own ideas about teaching? Bravo to Brock University for the leadership in hosting their annual Technology Showcase event at their Hamilton Campus. I was honoured to participate in the Decision Makers Luncheon round table discussing 21st Century trends across Canada. Brock has struck a number of unique partnerships with the local school districts and industry. Other faculties of education should take notice of Brock's innovative approach to being a catalyst in transforming learning in the 21st Century. President Alastair Summerlee has established a task force to review, co-ordinate and make recommendations for campus initiatives that promote sustainability, both at the University and in the greater local and global communities. The IT staff at Ballston Central School District (BSCSD) realized they were spending a considerable amount of their time rebuilding computers. The Minister of Economic Development, Innovation and Export Trade, Cl�ment Gignac, announced the closing of the Seed Fund Cycle-C3E and said it is now ready to invest in companies specialized in the cleantech sector. Chilliwack schools have three months to significantly alter their environmental behaviours. From January to March, every school in the district will be participating in the Energy Challenge. It's a challenge meant to change the environmental behaviours of staff and students, but also to save the school district money. Samsung entered the tablet market very early in the tablet game with their 7-inch Galaxy Tab powered by Google's Android Froyo OS. It's different from Apple's iPad and the Dell Streak on various fronts, but most notably because it's a 7-inch device, whereas the two other devices are 10-inch and 5-inches respectively. Screen size is a point of debate between manufacturers and the Tab definitely gave me the opportunity to 'weigh in' on the debate as to whether 10, 7 or 5-inch screens are more likely to dominate the education market in the future. Of course, due to the simple fact that Apple introduced the iPad into the market first they have the market lead. The Galaxy Tab however has gained in popularity, and I think mostly because it's more portable than the ubiquitous iPad. An interesting note is that Steve Jobs, Apple's iconic lead-hand, stated early on that the 7-inch form factor tablets would be DOA. Well, I don't believe he's right, but that will become clearer when all of the major manufacturers put their 'best foot forward' so to speak. I continue to marvel at how people continue to amass around a particular device before asking themselves what makes most sense in their particular context. For me, after having tried a number of tablets, including the iPad, I'm thinking that the 7-inch form factor is more practical, and useable. Read on to find out more! Seeking a technically and creatively savvy candidate who is passionate about both computer science and media arts. Candidate should be well versed with programming (equivalent or comparable to Turing or Java), Adobe CS4 or higher (Photoshop, Illustrator, Premiere and Flash). Knowledge of networking and technical troubleshooting is a must. The dean is directly accountable to the senior vice-president, academic for Technology Division operations and programming across the province, providing academic leadership and ensuring academic integrity of all divisional programs. A proven investigator with experience in sensitive and sometimes complex professional misconduct cases, you will investigate complaints of alleged teacher professional misconduct, incompetence and incapacity. Although only in the Alpha stage of development this new 'information experience' will rock your socks off! Sign up for the Alpha and start immersing yourself in a new way of looking at information. Beware - it's addictive! "Montage is a shareable, personal, visual album of the web. You are able to design your personal Montage around a topic by adding content that pulls information from a variety of sources including, RSS feeds, Twitter, Bing News, YouTube, video and Bing Images. Your Montage is constantly evolving as you arrange each area with the content of your choice - which is easy, intuitive and fun; and can be on any topic from, movies, sports, to robots." Why Nikon? Well, they have some pretty amazing tools (this tool and the one below) on their website that can be easily used in a classroom context. "This Day" is a web content page that shows what happened on that day in the past, at some place in the world. And if you have an interactive whiteboard then with this visual tool you can initiate some interesting discussions around history, and time. Along with the above, Nikon also offers a Flash-based experience of our universe from a Femtometer (quadrillionth of a meter) to the extremities of space measured in light years. Nikon calls it an 'infinite yardstick'. If you want to be humbled by our universe from the infinitely small to the infinitely large, give this site a whirl on your computer, or better yet, on an interactive whiteboard. This is a great site for stimulating discussions in class on many topics in science and math. Known as Phun prior to being acquired by Algoryx, Algodoo is worth a mention, not as a Web 2.0 tool but as an amazing piece of software that can be used to teach physics, from K to 12 and beyond. This software is optimized for an interactive whiteboard, especially SMART Boards. I had the pleasure of speaking with the developer of this software and witnessed firsthand how fun physics can be on a SMART Board. It will wow your students, and bring new life to your physics lessons! Buy a site license and let your students explore the elements of their physical world in real-time! They help you grow and lead to better things, both within your organization and in your life. To resist them is to avoid growth and progress. Embrace and get the best from the challenges in front of you. And understand that the only people with no problems are dead. An unhappy customer yelling at you might seem like a problem. But to a person thinking like a leader, that scenario is also an opportunity to improve the organization's processes to ensure that doesn't happen again. So the problem has actually helped to improve the company. In the reception area of Peter Hackett's old office in downtown Edmonton, surfing videos were on a loop. Surfing, for Hackett, is a metaphor for risk-taking. He was, for five years, the president and CEO of a now-shuttered endowment fund called Alberta Ingenuity. CNW 12/01/11 The University of Toronto Bookstore is on a mission to save students money. Almost one quarter of textbook titles are rentable for the January term saving students 40% to 60% off the new book price at all three campuses. Online education is often dismissed as a pipeline for expensive degrees of little value and a sponge for veterans' tuition payments. But while it's true that for-profit universities have made a hefty business out of e-learning, it's becoming apparent that learning online can also benefit almost everyone else. FORTY years ago this month a radical innovation arrived in higher education. The new Open University (OU) began to admit students who did not have the qualifications to get into other institutions. Are video games the future of learning? Many are thinking the answer is yes. 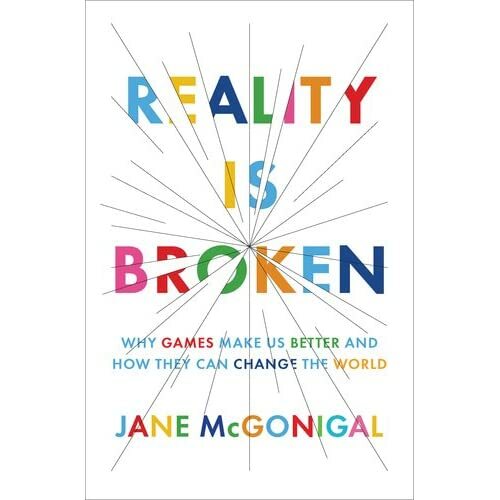 This includes Jane McGonigal, author of Reality Is Broken: Why Games Make Us Better and How They Can Change the World. McGonigal makes alternative reality games "that are designed to improve real lives or solve real problems." She is the Director of Games Research & Development at the Institute for the Future, a non-profit research group in Palo Alto, California. In her book, she describes how video games can teach us how to motivate youth instead of waste time like they're generally thought to do. Video games create a landscape students can use to become inspired about real world problems, explore solutions, and have fun doing it. For me gaming has always been the social experience of getting together with friends and playing together; the game itself was only part of the fun. Today's games such as World of Warcraft are primarily played solo online, but the relationships that are built within the game gives it a social experience. In the past, educational games were boring, and that's because the social aspect was taken out of the equation. We're now seeing educational games pushing technological and social boundaries, games that are more relevant and with better plots. "Why video games are good for learning"
effects on student learning and engagement and its connection to 21st century skills. The Technology Integration Matrix (TIM) illustrates how teachers can use technology to enhance learning for K-12 students. The TIM incorporates five interdependent characteristics of meaningful learning environments: active, collaborative, constructive, authentic, and goal directed (Jonassen, Howland, Moore, & Marra, 2003. Three higher ed tech experts discuss technology trends for the year ahead, citing increased mobile and wireless access and cloud computing among them. But are campuses also in for a little bit of a return to the "basics" in the coming year? 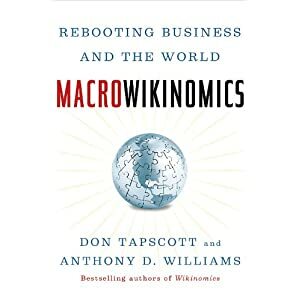 In what's often called the real world, successful businesses are those that encourage their best employees, respond effectively to their client's needs and invest continually in their programs and infrastructure. Cheryl Paige, Principal, Joyce Public School who SMART Showcase Elite School; only one of three in Canada. This is sad and unavoidable trend for publishers who fail to transitions ....MindShare Tweet: Key Porter shuts down publishing operations http://bit.ly/hmuJGP Are CDN Edu publisher's publishers at risk? Congratulations to MindShare friends and associates, Lynne Zucker, Chair, Carole Olsen, Past Chair, Catherine McCullough,CEA 2010-2011 Board of Directors and Council recent appointments. John Steele, CIO, Dufferin Peel District School Board is retiring at the end of February. Congrats to John on a great career in managing the growth and ICT challenges he faced as one of the fastest and largest boards in Canada. So what's next you ask? We're looking forward to a podcast for his reflections. through their advocacy group Digital Learning Now! Excellent work! With the snow coming, I heading off early to catch a flight, so until next time, be sure to walk the digital talk!